Thesaurus Payroll Manager facilitates the processing of a post cessation payment to an employee who has left your employment during the current tax year. Next, click Lookup RPN for this employee. The software will automatically connect to Revenue and retrieve the tax credits and cut off points to apply to the payment. Click Calculate. A breakdown of the deductions and the employee's Net Pay will be displayed on screen. Click Finalise/Process to complete the process. A PSR containing details of the post cessation payment will now be created for submission to Revenue, when ready. This PSR will also include the employee's original employment ID and original cessation date, in order for Revenue to know this is a post cessation payment. 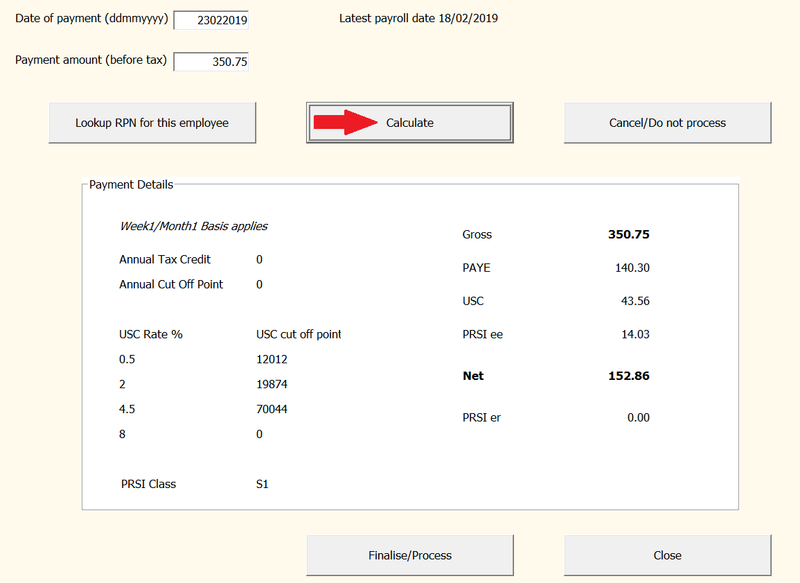 A payslip for the employee will also be available for printing/emailing within the Print/Email Payslips utility (Process icon no. 7).